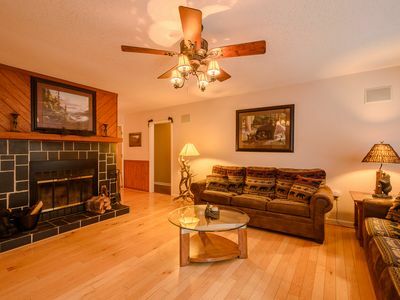 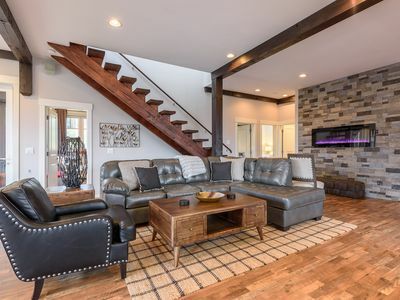 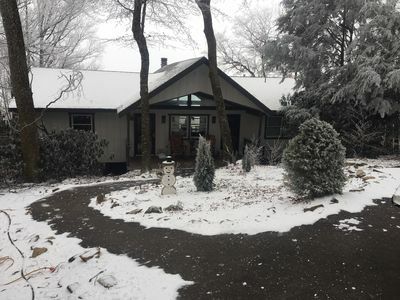 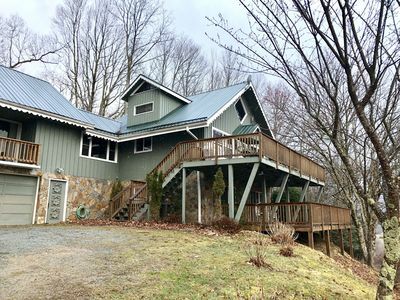 Location ~ Location ~ Location This beautiful 3 Bedroom Cabin has all features that could be on your check list for a Mountain Getaway Experience. 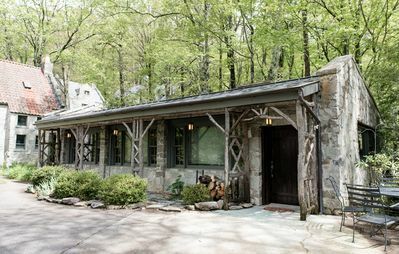 Just a skip to Historic Valle Crucis which is home to the Mast General Store and Candy Barrell. 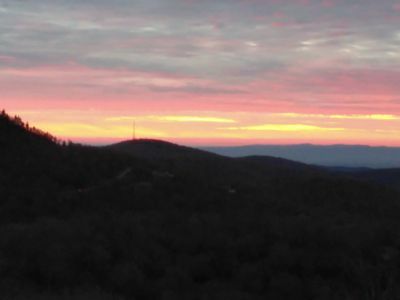 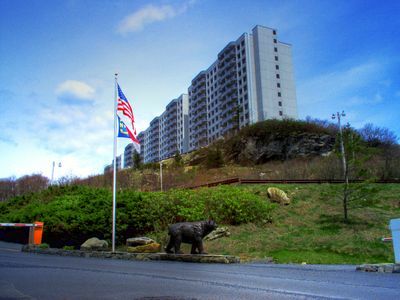 Also just minutes to Hawksnest Ski/Golf, Ski Sugar Mountain and Appalachian Ski Mountain. 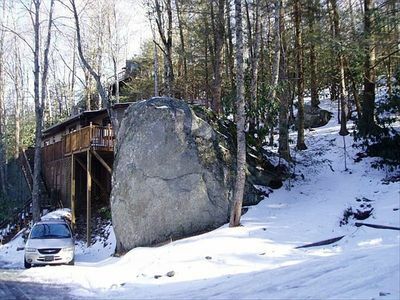 Enjoy Gem Mining, Antique shopping and Putt Putt just minutes away as well. 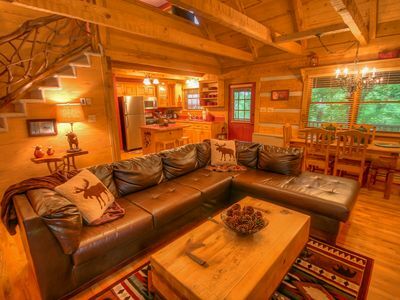 This Spacious Cabin is incredible inside plus has huge Deck Space for ultimate outside living as well. 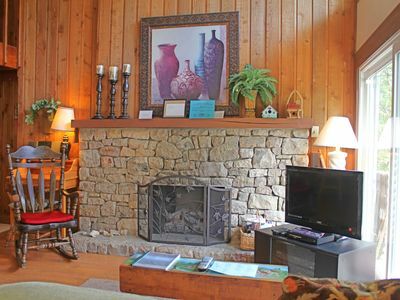 Wireless Highspeed Internet, 3 TV’s, DVD & VHS available, DVD & Video Library available. 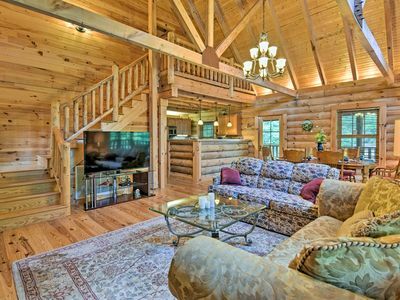 Relax in the hot tub, Rock away troubles on the covered porch, Cozy up to the beautiful stone fireplace – what more could you ask for? 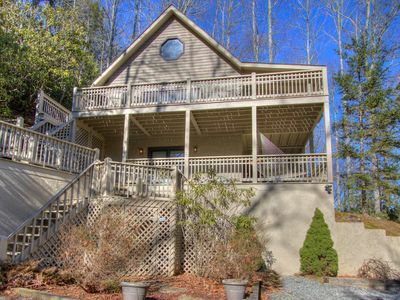 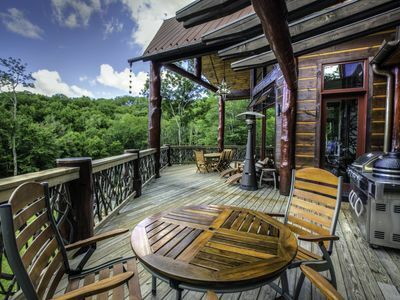 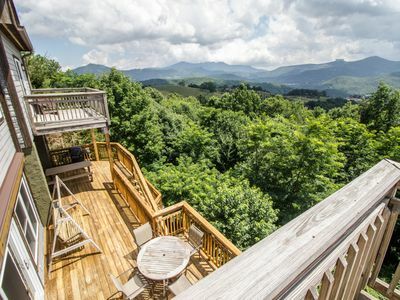 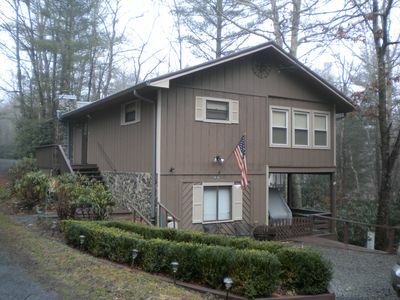 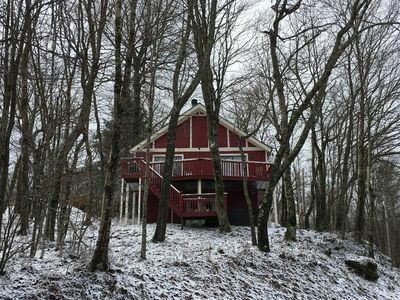 Superb Linville Mountain Cabin w/Wraparound Decks! 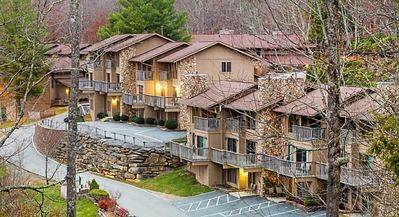 Blue Ridge Village mountain and lake resort. 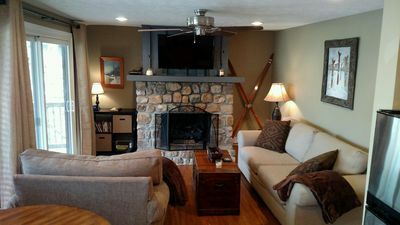 Family friendly or couples retreat! 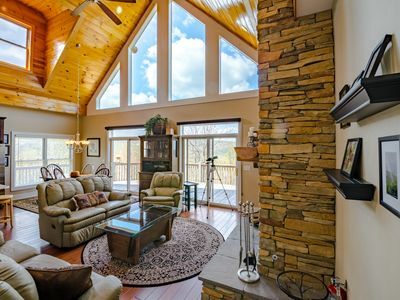 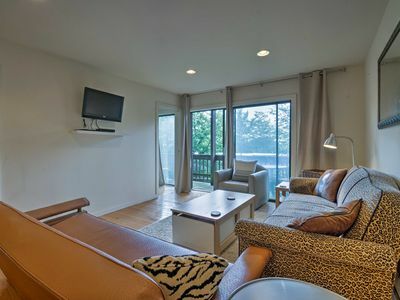 Copperleaf at Eagles Nest- Hot tub, Pool Table, Mountain Views, Summer Concerts!